we cook when we’re together. we’ve been doing that since we’ve known each other. food grounds our relationship. we have the best conversations making, eating, and sharing food. we would volunteer to cook for big campus events. we’d make a dinner for a close group of friends. we’d cook instead of going to the cafeteria or out to dinner. 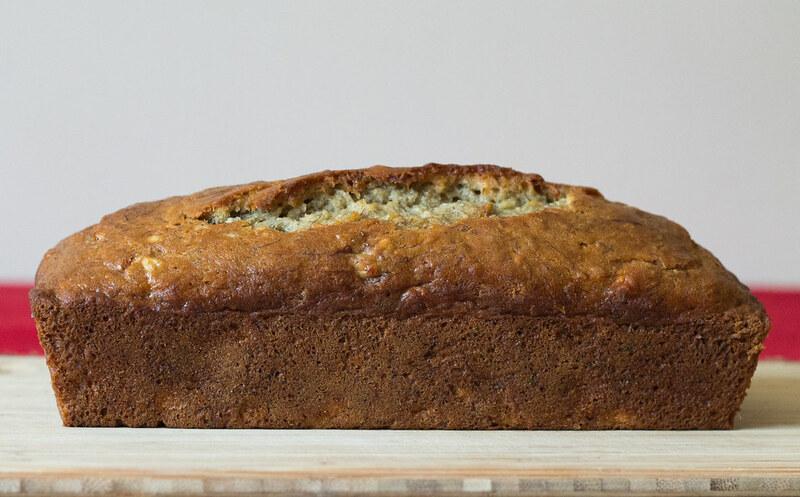 one of our favorite things to make together is banana bread. we don’t make it with anyone else. that’s how special it is to us. we debated adding walnuts or chocolate chips into the batter. but, we were going to also use the loaf to make french toast the following morning. we opted out on the add-ins. but, i recommend either of those. walnuts are s’s fave. i also recommend listening to this song when making your banana bread. it’s what we did. it was the song of the weekend. 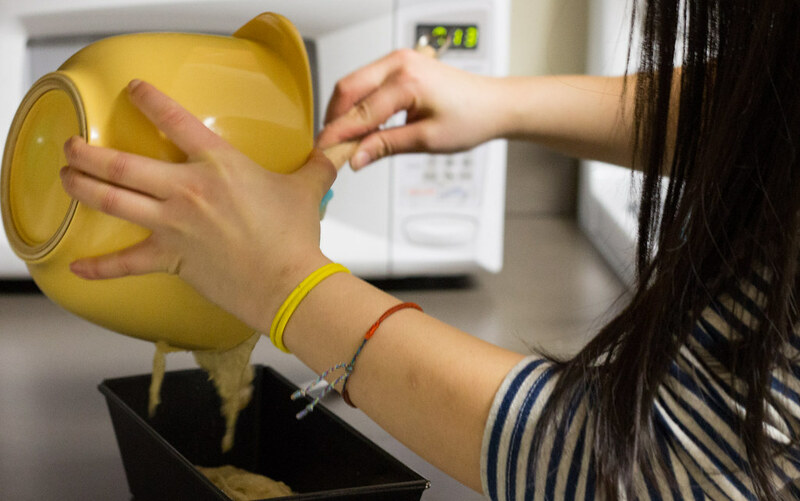 preheat oven to 350. prepare a loaf pan by spraying it with nonstick cooking spray. 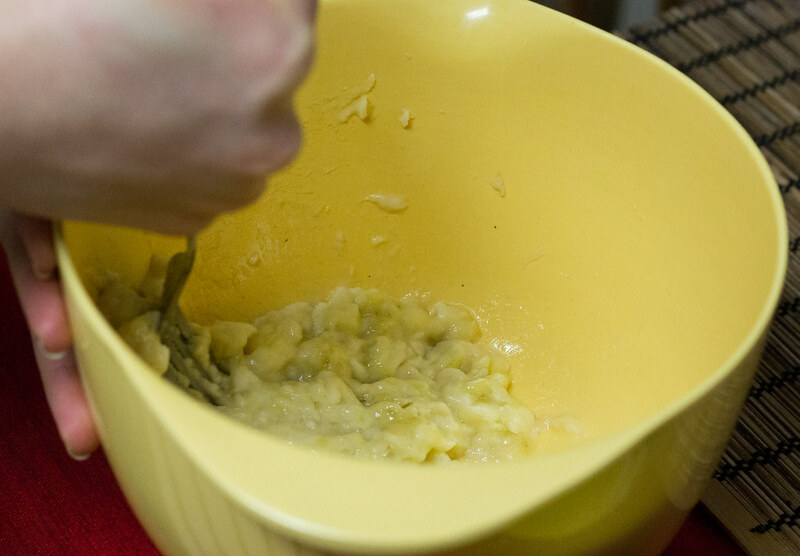 in a large bowl, combine bananas and butter. add sugar, egg, vanilla, and spices. stir in baking soda and salt. mix in flour. pour into prepared loaf pan. bake for about one hour. cool, slice, nom! This entry was posted in bread, noms and tagged banana, bread, cinnamon by nomsandnotes. Bookmark the permalink.